Christina Sartorio practices in Connell Foley’s Environmental Law group, where she applies a background in biological sciences and environmental regulation to a wide range of complex environmental matters. In particular, Christina advises on environmental litigation involving CERCLA and the New Jersey Spill Act, regulatory enforcement and compliance matters including hazardous waste, site remediation, and federal and state cost recovery and contribution claims. 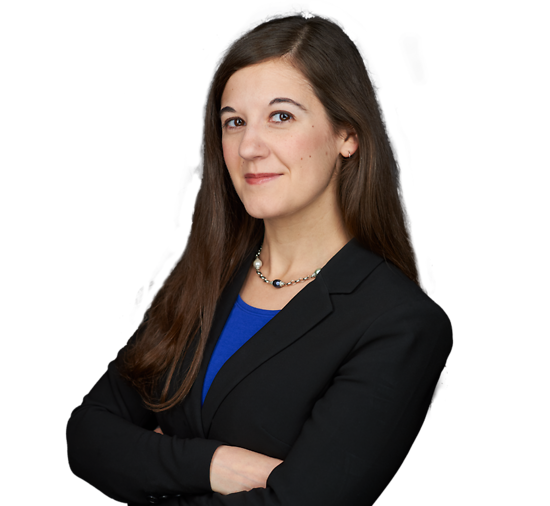 Christina also works with clients as well as state and federal regulators to resolve land use issues such as those related to permitting, waterfront development and public access easements. Prior to joining the firm, Christina served as a law clerk to the Honorable David F. Bauman, Presiding Judge of the Superior Court, Civil Division, Monmouth County, for the 2012-2013 term. While in law school she contributed her time to the William and Mary Law Review, served as the William & Mary Law Property Fellow, worked as a research assistant to Professor Lynda Butler and interned at the Pennsylvania DEP. Represents a potentially responsible party (“PRP”) in a CERCLA and NRD enforcement matter relating to the Passaic River and Newark Bay. Represents a corporate property owner in connection with claims for remediation costs related to a prior property owner’s historical operations. Represents private property owners in connection with federal and state litigation to challenge a municipality’s use of eminent domain in order to obtain a proposed public access easement. Represented a private landowner in challenging an adverse decision by the New Jersey Department of Environmental Protection and in the subsequent settlement negotiations with the agency for the ultimate granting of a Waterfront Development permit. Represented the Special Master in the enforcement of court ordered injunction against Honeywell.